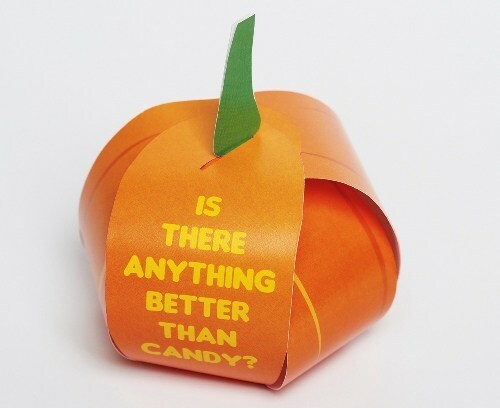 Home » Faith » What Should Christians Do With Halloween? What Should Christians Do With Halloween? The holidays are right upon us; right in plain sight. I don’t know about you, but I haven’t done much preparing. With the exception of one lone pumpkin, I haven’t bought a single decoration, nailed down any Thanksgiving plans, and don’t even get me started on Christmas! I simply love the Thanksgiving and Christmas holidays; they take me home, if you know what I mean. If I’m honest, Halloween brings with it a sort of dread for me. I’m all too ready for it to come and go, but mostly just go. For years, we have avoided Wal-mart like the plague during the latter part of October because my oldest, like me, had a strong dislike for the scary part of Halloween. We live in a culture that embraces Halloween and looks forward to it with excitement every year. Kids and adults alike look forward to dressing up and raking in free candy. People spend hundreds of dollars on decorations, costumes, and candy without batting an eye. In a secular culture, what should Christians do with Halloween? Do we set ourselves completely apart, turning off the lights and hiding in our own homes waiting for the evening to pass uneventfully, or do we get out there and engage our culture? Should Christians Be Leary of Halloween? Should we, as Christians, allow ourselves to take part in a holiday that was rooted in the celebration of otherworldly spirits roaming the earth causing trouble and damage? And what does “taking part” even mean? Am I taking part if I open my door to children wanting a treat? Does taking part mean I agree with what Halloween stands for? Am I taking part if I let my kids dress up and go to the trunk or treat or the festival down town? In some circles, if a Christian participates in Halloween activities at all, she is flirting with the devil. However, some circles have total freedom to enjoy the dressing up, candy, and fun. To me, it’s unclear. Honestly, I struggle with knowing what to do. Should we ban anything associated with Halloween, including pumpkins and carving them? Or should we join the celebration by adding to it our remembrance of Reformation Day? Should we take advantage of the fact that hundreds of people will pass through our little town on Tuesday night, and shine our light in a dark world? My tendency is to hide away until it’s gone because I do not have fond childhood memories of Halloween. Truthfully, I was afraid and disturbed by the ugliness of some costumes and deeply bothered by the mischief that reportedly went on Halloween night. It is because of my experiences as a child that we have never celebrated Halloween in our family. As a mom, I never wanted my kids to experience the fear I did, nor did I want them to feel like they had to participate. I felt like to participate (even a little bit) said that I was okay with the foolishness that does go on on Halloween, to give it my stamp of approval. And I didn’t approve. What I am beginning to understand is that hiding away isn’t doing anything for us, making us more afraid maybe. Instead, we have an obligation, as Christians, to shine our light in a dark world on a very dark night. I love what the Barefoot Warrior shares about light penetrating the darkness and not the other way around! Check out these other posts on Halloween with differing opinions. Remember, we won’t all agree, but these articles offer some really good food for thought. The truth is that we do the best we can with the information we have, and we continue to seek answers. Can I encourage you? If you are worried about what to do or struggling with past decisions, let God lead you. Seek answers through prayer and Scripture. Brina Lynn, thanks for talking about a subject that has so many differing opinions. Our family has no interest in Halloween activities. Like you, I would like to ignore it until it passes but i’m not saying that is right either. I have candy issues too. Oh dear! I celebrated Halloween until my children were young, but somewhere along the way I became convicted that I shouldn’t. I feel like it glorifies evil and piques children’s curiosity about things like witchcraft. I also think it makes light of evil, makes it seem like a fairy tale. I’m afraid that could make it seem more palatable and cause people to let their guard down, making it easier for Satan to get a foothold. The scripture “what fellowship hath light with darkness” comes to mind. It’s a decision we all have to make for our families. I could imagine God asking me why I participated and finding out it was a sin, but don’t think I have to worry about sinning by not participating, so I’ve chosen that as the safer option. Although I guess it’s possible that someone might be positively impacted by me on Halloween, I still have 364 other days to influence them. I’ve never heard of anyone coming to Jesus as a result of Christian efforts on Halloween. Just my two cents. I think it’s interesting that y’all did a link-up of different perspectives. Good idea! I have some of those same feelings and fears, Michelle! Our church is not big, but it sits right smack dab in the middle of our little Main St, so thousands of people come our way. We do make a point to be the light on a very dark night. Thank you for stopping by and sharing your thoughts! I also think part of that comes from the many reactions I may get from family. I must say I am emarassed to admit that. What kind of follower of the Lord am I if I am scared of what people will think because I want to honor Him!? I know what we need to to do is spend time in the Word and prayer. Thank you for this! Jessica, it can be so hard! But rest in the truth that you are doing what you feel is best for your family at this moment with the information you have. Blessings to you!